Coriolis mass flow meters are widely used throughout the process measurement and control field. Their basic operating principle, combined with modern sensor and signal processing technology, provide a list of potential application advantages. Directly measure mass flow based on the principle of measurement. No "moving" parts (except the slightly vibrating sensor tubes). 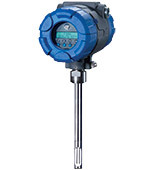 Coriolis sensors have the ability to measure flow of non-conductive fluids. 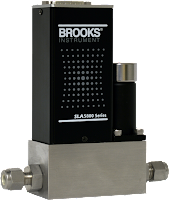 Measure the mass flow rate with high accuracy. Instruments can be applied across a wide usable measurement range. Deliver density measurement based on oscillating frequency. Not materially impacted by fluid viscosity or density. Coriolis flow meters also do not need lengthy straight pipe sections upstream or downstream of the sensing unit. Rapid temperature changes within the measured medium can impact measurement accuracy. Wide ranges of connection types are available, specify the best match for your system. Select sensor tube construction material to accommodate media characteristics. For liquid measurement, the sensor tube will extend downward from a horizontal pipe run. As with most industrial products, there may be restrictions on where the device may be used. For example, not for use in aircraft. Assure that your application conforms with the intended usage of the instrument. Install at least one tight shutoff valve adjacent to the instrument for purposes of zeroing. Isolation valves for inlet and outlet are preferred. Avoid installation at locations with high levels of vibration or strong electrical fields. Locate the sensor unit at the lowest practical level in the piping system. This helps avoid collection of gas bubbles in the sensor tubes. Sensor tubes need to be completely filled with subject medium to obtain accurate measurement. Avoid the use of flexible connections and reducers at the unit connection points, unless in accordance with specific manufacturer guidelines. The Coriolis flow meters of different manufacturers may have some particular recommendations, all of which should be followed to insure the best available performance, safety, and longevity of the unit. Share your process instrumentation challenges and requirements with process measurement specialists, combining your process knowledge and expertise with their product application experience to develop effective solutions. There are many products and variants. The company developed a summary document that provides an overview of the various product types, enabling potential users to focus quickly on the instruments that will meet their requirements. The document is included below. Share your pressure, vacuum, and flow measurement and control challenges with product application specialists, combining your process knowledge and experience with their product application expertise to develop effective solutions. Flow, Pressure & Vapor Instrumentation from Miller Energy, Inc. Sometimes you discover that others do something better than you. When that happens, watch and listen. Tom Kemme, from Magnetrol®, expertly fielded some questions about thermal mass flow meters in a recent blog post. Mr. Kemme's responses were so useful and clear that I decided, with all the credit flowing his way, to share them here for those of you that may not closely follow the Magnetrol® Blog. Question: What is the difference between the flow units Nm3/h, Sm3/h, and actual m3/h? Answer: Actual m3/h is a flow rate at operating temperature and pressure. Normal or standard m3/h (Nm3/h = Sm3/h) is a flow rate at standard temperature and pressure (STP). I tend to reference the natural gas industry, where it is not possible to compare flow rates at every operating condition, so it is preferable to reference all flow rates back to a set of base conditions, such as 60°F and 1 atm. STP is not universal so it may be unique based on the region or industry. Most flow meters output a flow rate at operating conditions and need to correct this measurement. This may be accomplished with a multivariable transmitter or external to the device. A few examples that do not need to correct the measurement are thermal mass flow meters, such as the ones produced by MAGNETROL, and Coriolis flow meters. Question: Do you have any certified failure rate data on your units to perform an SIL verification? Answer: A Failure Modes, Effects, and Diagnostics Analysis (FMEDA) is completed during development to determine failure rates and Safe Failure Fraction (SFF). The SFF is utilized to determine Safety Integrity Level (SIL), which is often the published value. Question: What should my meter be reading with no air flow in the pipe? 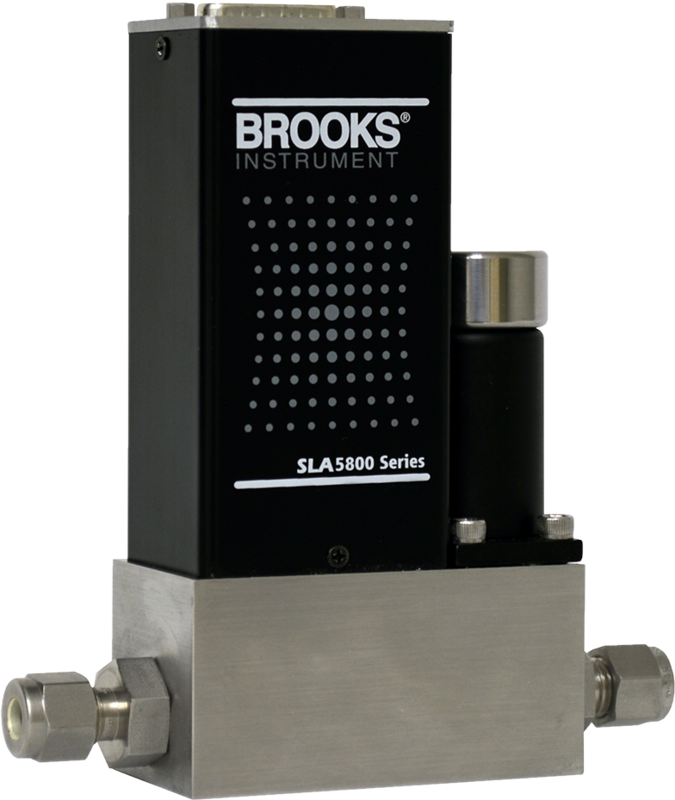 Answer: At zero flow and a dry pipe, a thermal mass flow meter should measure zero. Different thermal meters may have varying stability at no flow due to differences in operation. There are two different types of operation: constant temperature (CT) and constant power (CP). CT devices start with a low power and this power increases with the flow rate to maintain the constant temperature difference (ΔT) between the RTDs. CP devices start with a high ΔT between RTDs at low flow and the ΔT decreases as the flow rate increases. CP may lack stability at zero flow due to possible convection currents associated with the high ΔT. CT will hold zero better, particularly devices that add less heat. For example, the maximum surface temperature of a TA2 probe is 4 C above process temperature. This is extremely low heat, eliminating convection currents due to the sensor. Convection currents could also occur through the pipe due to temperature variations. It is also possible for a thermal meter to measure above zero during a no flow condition when there is pressure buildup in the line (typically a valve closed downstream). There may be low flow cutoff settings that can be changed to ignore nuisance measurements. You can easily tap into Magnetrol® expertise to solve your flow measurement challenges. Reach out to a product specialist and combine your process knowledge with their flow measurement expertise to develop effective solutions. This short video illustrates the ease with which numerous mounting configurations of DPharp transmitters can be accomplished in new and existing operations. 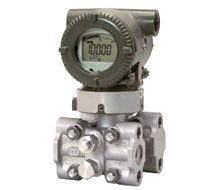 The DPharp line of pressure transmitters utilize Yokogawa's top flight digital sensing technology for accurate process measurement of pressure and differential pressure in a multitude of applications. Share your process measurement challenges with application experts, combining your process knowledge with their product application expertise to develop effective solutions. Attaining the best available performance and accuracy from any measuring device utilized in an industrial process is always advantageous. The scale of most industrial processes is such that even small inaccuracies in process measurement produce financially tangible impact. Differential pressure measurement, with wide application in the industrial process sphere, can be improved with the addition of a means to compensate for the real world effects of static pressure upon instrument performance. Yokogawa Corporation has developed a means to dynamically compensate for static pressure effects in field measurements. The brief technical presentation below will help you understand how static pressure effects can impact your field measurements, as well as how Yokogawa’s Real-time Dynamic Compensation works to offset its impact. More detailed product and application information is available from your Yokogawa specialist. Dynamic Compensation for Static Pressure Effects in Differential Pressure Measurement from Miller Energy, Inc.